How Do Menstrual Cups Work? Because of the taboos behind discussing women’s health, you may be entirely unaware of what a menstrual cup is, how to use one, and how it works. But did you know these cups could totally change how you take care of your body and experience your periods? Are you interested in making your time of the month simpler, safer, more environmentally friendly, and more affordable? Are you tired of having your period made more frustrating by the realization that you forgot to buy more tampons or pads? Related: Are Menstrual Cups Expensive? A menstrual cup could take the stress away from your periods. Because it’s about time that a women’s hygiene product was actually good for women. A menstrual cup is a cup made out of silicone. Much like a tampon or a maxi pad, its goal is to catch menstrual blood released during your period. The difference is the way this is done: with a tampon or a maxi pad, blood is absorbed by the item. With a cup, blood is caught in the structure itself. 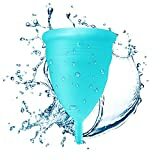 If you’re interested in buying a menstrual cup, you can buy one in a small or large size depending on the company selling it. There is usually one size for women who have given birth and another size for women who have not. Before you buy your menstrual cup or start asking important questions like “how do menstrual cups work?” you should figure out how to buy the right menstrual cup. Depending on your size and comfort level, you can have different needs and find yourself extremely unimpressed if you buy the wrong brand. Check out this helpful comparison chart for more information. Menstrual cups are one of the most effective methods of stopping embarrassing leaks, but only if you use them properly. So make sure you know how to use a menstrual cup to avoid leaks, discomfort, or illness or a rash caused by misuse of a feminine hygiene product. To use a menstrual cup, follow the package instructions. Most cups will need to be rinsed, folded, and inserted. Package instructions and other “how-to” guides can be a bit unclear on this issue. To make sure you fold and insert your menstrual cup properly, check out our guide. If you’re reading an article titled, “how do menstrual cups work,” then you’re probably used to tampons and pads. One difference that menstrual cups have is that they’re reusable. This means you’ll need to clean your menstrual cup before and after each use. After the entirety of your cycle is over, it’s recommended that you boil your menstrual cup before using it again. Tampons and pads are based on the concept of absorbing menstrual flow. At the end of the wearing period (8 hours for a tampon, 3 to 4 hours for a pad,) the blood flow is disposed of when the tampon or pad is thrown out. This may be a simpler way to dispose of blood and fluid, but it’s also a far more wasteful and an expensive way to get rid of it. Having an alternative provided by your feminine hygiene product could save you money while reducing your impact on the environment. The way that a menstrual cup operates is a more effective way to save money and reduce waste. Menstrual cups work quite a bit differently than tampons or pads. They are made from either silicone or rubber, and instead of absorbing your flow collect it within the cup. 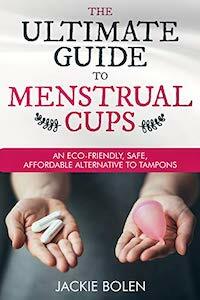 Blood simply drips into the menstrual cup, instead of requiring the absorption of a tampon or maxi pad. One key advantage of menstrual cups is that they last longer than other feminine hygiene products. As we stated above, a tampon can be worn for eight hours and a maxi pad might only last 3 or 4 hours, a menstrual cup is good to go for 12 hours. And even after being worn for 12 hours, it can be washed and used again. Related: How to Handle a Heavy Period. This is far more convenient for women looking to avoid another surprise run to CVS or Walgreens. Along with this being more convenient, it also reduces the risk of unfortunate conditions such as toxic shock syndrome. And they’re not just safer for you. Because they’re reusable, using menstrual cups instead of pads or tampons is a great way to cut down on the amount of waste you produce. This is a pretty important thing you can do, considering the average American throws out over four pounds of trash per day. If you’re looking to reduce your waste, another feminine hygiene product that you could consider are reusable cloth pads. They are similar to disposable sanitary napkins. But, after you use them you throw them in the wash, instead of the trash. Another key advantage menstrual cups have over other feminine hygiene products is their affordability. Though a menstrual cup is more of a steep investment than other products, it’s also reusable. This means that your menstrual cup becomes more affordable as time goes on, as opposed to the continued money-sinking trend of pads and tampons. “How do menstrual cups work?” is an important question. We’ve answered it by demonstrating to you what a menstrual cup is, how to use it, and how it works to make your periods safer, cleaner, and more affordable. If you haven’t tried out menstrual cups, you really are missing out on one of the most important revolutions in feminine hygiene products. Now that the question of “how do menstrual cups work” has been answered, you should look for answers about specific menstrual cups. For more information on some of the incredible benefits of menstrual cups, check out our list of the top five menstrual cups of 2017.